Peat production. A tractor winnowing peat to dry it at a mine. Peat is an accumulation of partially decayed vegetation. 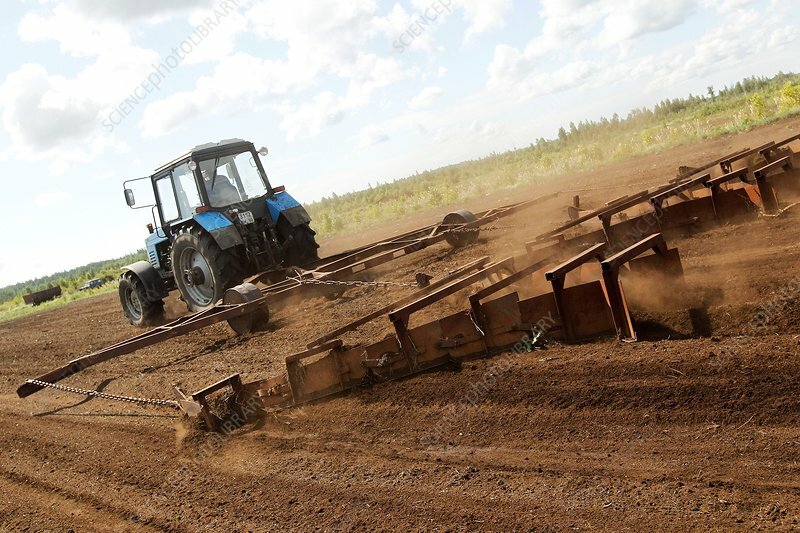 Peat bogs are drained and the dried vegetable matter used as a fertiliser in agriculture and as a fuel. Although derived from vegetation, peat is not classed as a biofuel because mining outstrips regrowth. Photographed at Shatura, Russia, location of the largest peat-fired power station in the world.